Amitabh Bachchan is making his tamil debut with SJ Suryah in Uyarntha Manithan directed by Tamilvaanan. Earlier, SJ Suryah shared pictures of Amitabh Bachchan from the movie sets where the actor was sporting a conventional Tamil man’s attire. Big B, as he is fondly called, has always showed his immense respect for the Tamil Cinema Industry and its actors. Amitabh has recently took to twitter to share pictures of him and SJ Suryah worshiping their inspiration. He has said that SJ Suryah and him are two disciples of Sivaji Ganesan. He has also said that he is the ultimate legend of tamil cinema. He has typed in tamil saying he is the master and they are his students. 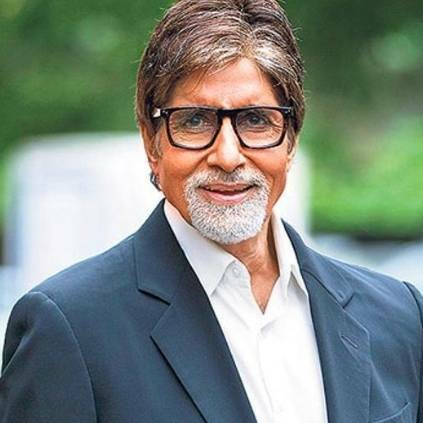 This sweet gesture by Amitabh Bachchan and respect towards a legendary Tamil actor has impressed the Tamil audiences and also shows the gentle nature of the actor. Amitabh is said to have given 40 days call sheet for the movie by which his portions will get wrapped up, in a single schedule. People looking for online information on Amitabh Bachchan, Master, Sivaji Ganesan, Tamilvaanan, Uyarndha Manithan will find this news story useful.